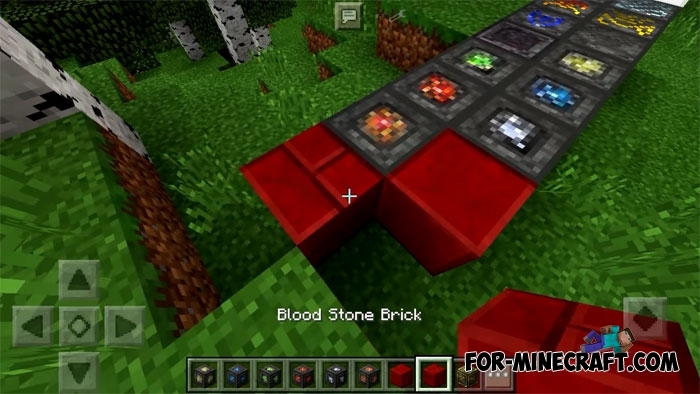 Now it all depends on the blood because the Blood Magic PE mod adds a lot of new items that consume blood and energy to Minecraft Pocket Edition. You get altars, magic sigils, a knife for sacrifice, weapons and armor, alchemical blocks, new recipes and much more. 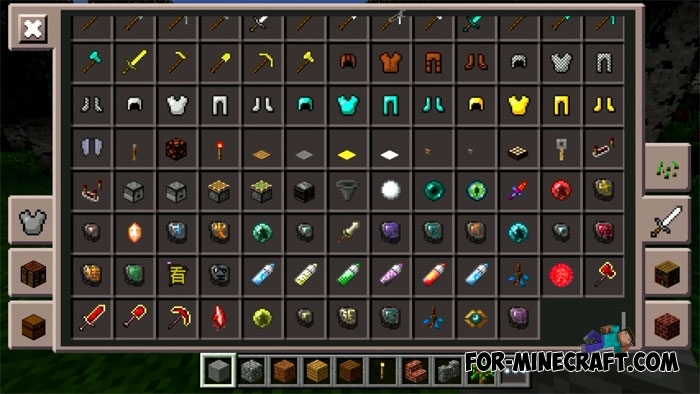 Today's version contains about 100 items, some of them do not work yet but in the next updates this will be fixed. With the help of these magic spheres you can create water and lava flows, get useful effects or use for other purposes. 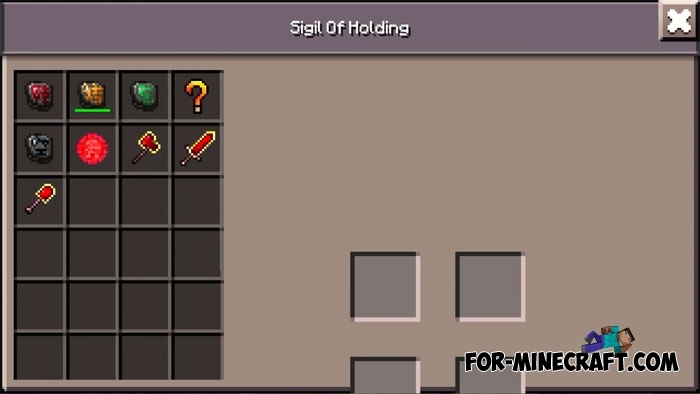 There are 12 sigils that can be obtained both in the creative and survival modes using new crafting recipes. Sigil of the blood lamp lights the way with light shots and also sets fire to nearby creatures. Bound tool set is a magic tools with infinite durability and very high speed of breaking blocks. Unlike standard tools, these ones consume LP and therefore you need energy to charge them. Bound sword is used for attacks with a weakness effect and also for collecting blood. 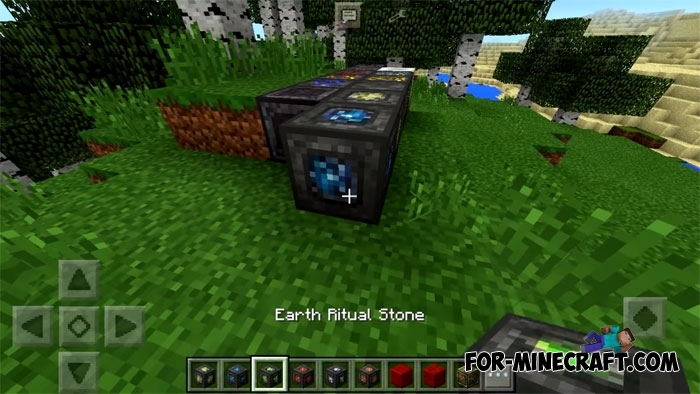 These blocks are used to obtain LP or for storage, alchemy and crafting ingredients. You can see more information on the Blood Magic wiki. The article will be supplemented after the release of new versions. 1. Download the mod and open BlockLauncher (download here). 2. 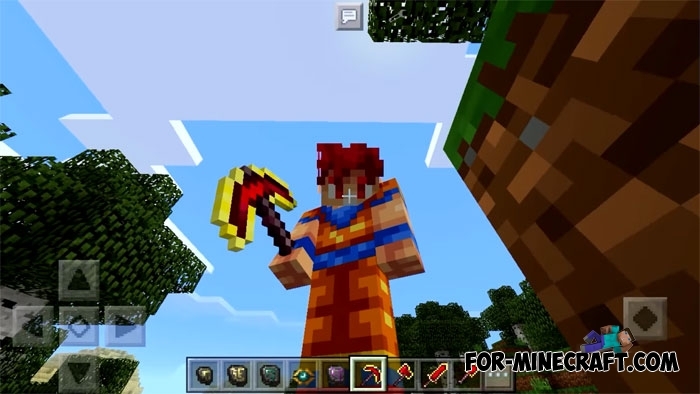 Open BL, click on the wrench and install the texture pack (resources), and then the mod. Flows HD Texture pack for Minecraft PE 1.1.XFlows HD texture pack has a high-quality texture of blocks and objects with a resolution of 128x128 pixels. My mod) It is beautiful!